Heading north, but hopefully back for the Caulfield Guineas. 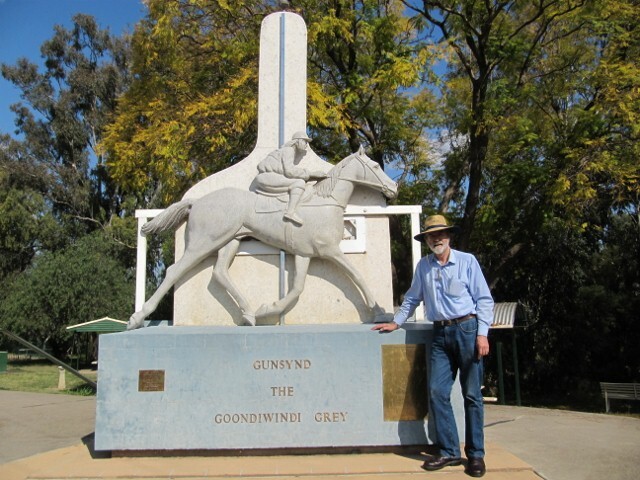 Here I am at the home of the Goondiwindi Grey, Gunsynd. 54 starts for 29 wins and $280,455 in prizemoney. The winner of four big miles: the Toorak, the Epsom, the George Adams,and the Doncaster. 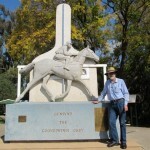 And the 1972 Cox Plate. What a horse! Go the grey!